Did you know a stethoscope can help diagnose your engine's ills? Q. Why in the world would I want to carry a stethoscope on my boat? I already have a good first aid kit. A. The one I had in mind is a mechanic’s stethoscope, and we use it to listen to the engine to help locate the source of a problem. You don’t use it every day, but it can save you a lot of time in situations where the problem is hard to find. A. A few months ago, we kept hearing a repetitive squeak—sort of a dit-dit-dit-dit-dit—coming from our starboard engine. We looked and listened in all the usual places, but couldn’t find the source of the noise. So, we broke out the stethoscope and used it to probe around the engine. The stethoscope amplified the noise and helped us pinpoint the difficulty: it was one of the bearings on the alternator, where the pulley is connected. Q. That sounds pretty handy, but how often can you use a stethoscope on a boat? Is it really worth cluttering your tool locker with this? A. Well, it’s not for everyone’s tool kit, but it’s worth having onboard when you can’t pinpoint a problem easily in the usual way. In this case, if I hadn’t had the stethoscope, I would have wasted a lot of time loosening the alternator belt to see whether that might have made the noise go away. The stethoscope did the trick a lot faster. But that isn’t the only situation where the stethoscope has come in handy. It’s also helped us locate the source of squeaking and other noises in the bulkheads and in other mechanical devices. Terry Slattery uses a stethoscope to pinpoint concerning noises coming from his engine. Q. Where can you get one, and how much does it cost? 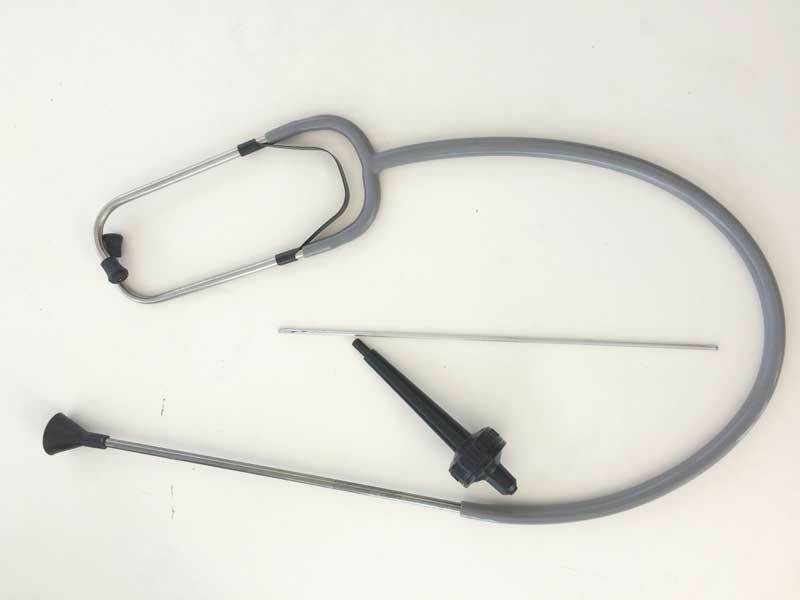 A. I found two places to buy a mechanic’s stethoscope. The one we have cost $20 from Amazon, and at Harbor Freight for only $4. And you can get them with two useful attachments: the first is just a metal tube with a rubber cup on one end. It collects sound very much like your ear does; hold it against various points on an engine or other device, and you can hear a lot more about what’s going on. The second is a metal stick that looks like a fat pencil. It screws into a piece of plastic fitting that operates like a sounding board. I’m sure there are other places to buy all these things. Q. 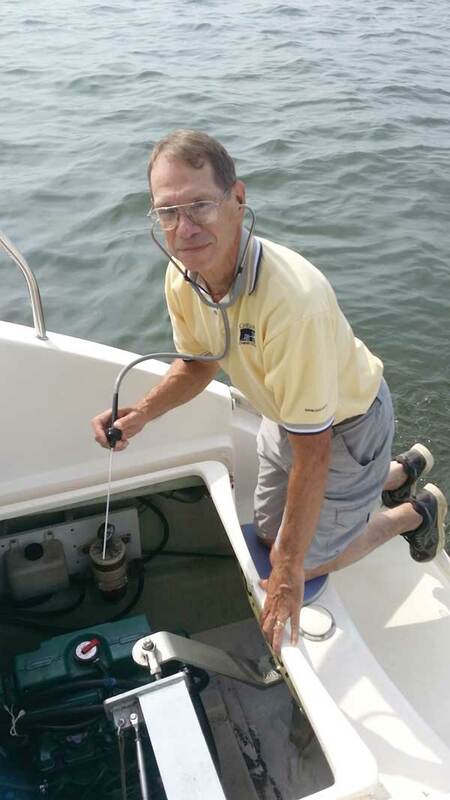 Do you know anyone else who keeps a stethoscope onboard a boat? A. A friend who’s a retired neurosurgeon has one that he’s kept from his working days, but he doesn’t do his own boat maintenance. But I’d really recommend one for any boater who troubleshoots his own vessel. For more "Ask the Expert" advice from Terry Slattery, check out Thermal Imagery on My Boat and Cleaning Your Boat's Water System.